Spacious & Well Presented 3 Bedroom Log Cabin Style Residence. Situated in Scenic Lakeside Development. Ideal Holiday Retreat. C. 6km to Ballinamore. For sale by private treaty. Ground Floor: Porch (1.75 x 2.1) with double doors through to Entrance hall (2.0 x 4.6) with under stair storage, Spacious Kitchen/Diner (5.3 x 4.4), Dining Room/Reception 2 (3.0 x 4.0), Sitting Room (4.0 x 5.0) with Patio doors, Feature Stone Open Fireplace & Hearth, Utility Room (1.8 x 1.9), W.C. (1.8 x 1.5), Bedroom 1 (3.5 x 5.2) with Built-in Wardrobe and En-suite (1.7 x 2.5). 1st Floor: Spacious open landing (4.3 x 2.8) with floor to ceiling windows, Bedroom 2 (4.4 x 4.0), Bedroom 3 (3.5 x 4.4), Store Room (2.1 x 2.2) and Shower Room (2.3 x 2.2). Property is presented in good condition throughout. Features; Solid block construction, Timber & Tile floors, Gas Central Heating, Double Glazing, Connections to Mains Services, off street parking and decking area to front. Located in a Peaceful & Well Maintained Lake Resort Development of approx 23 Units, walking distance to Drumcoura Saloon Bar & Restaurant, Equestrian Centre and Drumcoura Lough. Residence also have use of tennis courts and the jetty’s on Drumcoura Lough. 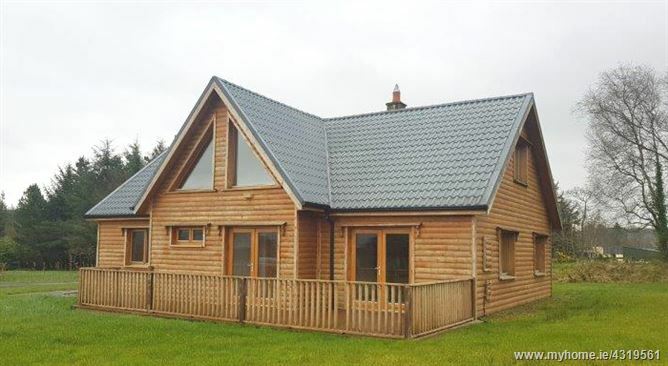 Situated close to many fishing lakes & the Shannon/Erne Blueway. This property would make an ideal holiday home or holiday let/Airbnb investment. C. 6 km to a wide range of amenities at Ballinamore and C. 25 min’s drive to Carrick-on-Shannon. Dublin & Belfast are under 2 hour drive. GPS: 54.0293649,-7.7551908. For location and directions enter eircode N41 Y157 into google maps.